The media's recent spotlight on the meat industry is a welcome development. But unlike the New York Times' recent investigation into the Meat Animal Research Center, far too much coverage proves false, lighting a path to obfuscation. Last week's New Scientist cover article, "What's the Beef?" is a case in point. 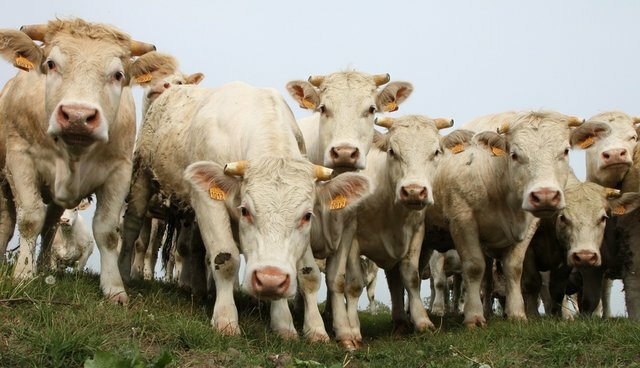 The article promises to reveal "the truth about meat and your health" but instead distorts an important issue: how meat eating impacts human health, and that of the planet. The cover story asks if "quitting meat will save our bacon." Do we have to stop eating meat to be healthier? Science writer Linda Geddes attempts to hook readers with a counter-intuitive claim: what we've been told about the dangers of meat "isn't quite as clear as the headlines suggest, and not everyone is convinced of the perils of tucking into a juicy steak." It's a compelling question, one sure to keep eyes on the page. But Geddes' take on the question favors a small sample of research over an overwhelming evidentiary case against meat consumption as a way to improve health. One study discussed in the article - based on the Third National Health and Nutrition Examination Survey - was, according to Sabine Rohrmann of the University of Zurich, "an outlier, because most studies have shown an association" between meat consumption and cancer. And yet Geddes steers a clear path away from this association toward a suggestive conclusion based on a thin reed of proof.